I've been busy working on some new projects for Megan Hein Photography. 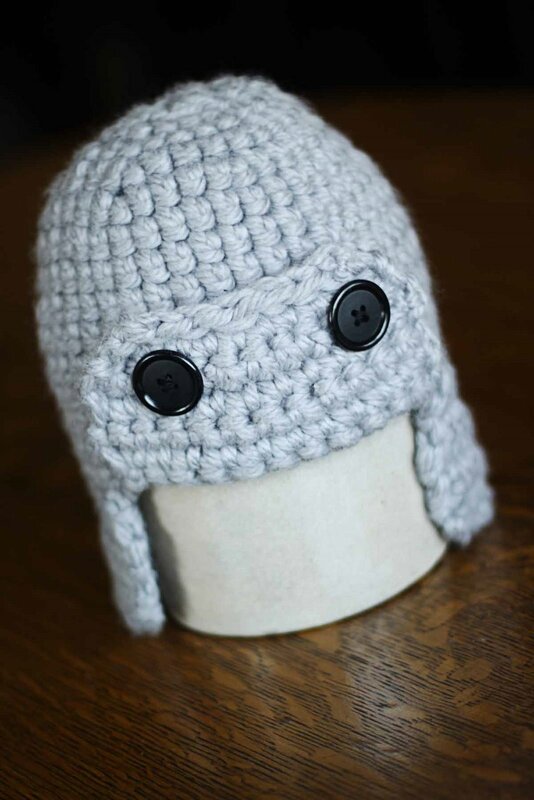 Megan found a photo of the "Aviator" hat online. I modified a pattern I had. I was SUPER excited about how this little hat turned out. I can't wait to see how she uses it in her photography. (Which is amazing, by the way!) She just took photos of my girls. You can see them HERE. 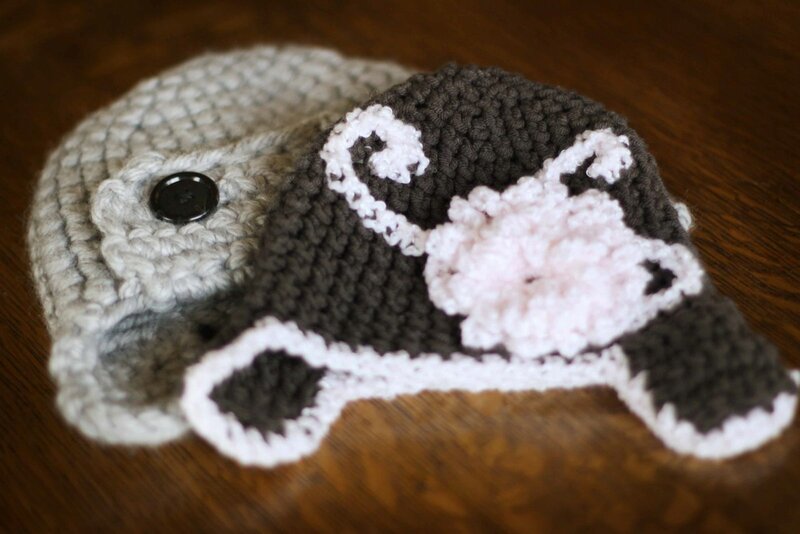 I've been wanting to make this little girls hat ever since I found the pattern! Finally, I had the excuse! 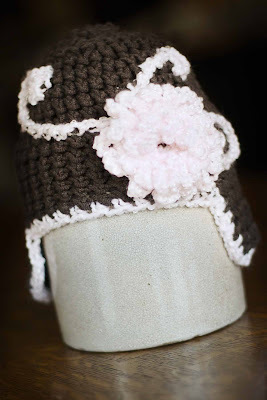 I worked the hat in the normal way, then I crocheted the flower vines on top. I'd never done something like that before, but I really liked how it turned out! The flower was crocheted separately, then attached to the finished product. I am very gratefulfor the hats! LOVE them! I just need a baby now! :) And I am so glad you loved the pictures...more to come! Really, really cute, Malinda! Love the flower! I'm impressed! Your hats look awesome!